Did you know 40% of students expelled each year from schools are black? 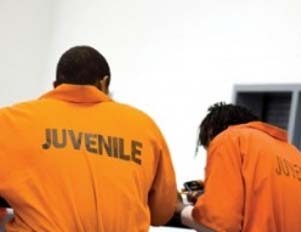 Â With the alarming number of children being directed out of public schools and into the juvenile and criminal justice systems, the Obama administration has developed several initiatives, such as Rethink Discipline, to address the school-to-prison pipeline. Although the reasons behind the statistics are debatable, most community leaders, educators and parents will agree that the time is now to take action on saving our youth from entering the prison system. Â A 2007Â studyÂ by the Advancement Project and the Power U Center for Social Change says that for every 100 students who were suspended, 15 were black, 7.9 were American Indian, 6.8 were Latino, and 4.8 were white. The same study reports that the U.S. spends almost $70 billion annually on incarceration, probation and parole. This number lends itself to a 127% funding increase for incarceration between 1987-2007. Compare that to a 21% increase in funding for higher education in the same 20-year span. Based on statistics from the Civil Rights Data Collection, in 2009, the Los Angeles Unified School District reported the following numbers for out-of-school suspensions: 62% Hispanic students, 33% black students, 3% white and 2% Asian. LAUSD also reported that of their expulsions, 67% of Hispanic students and 5% of black students were not offered educational services. Lastly, 77% Hispanics and 8% of Asian, black and white students were expelled under zero tolerance policies. Â The CRDC also shows that in 2009, the West Valley School District in Spokane, W.A.,Â expelled 20% black students, 60% white students, and offered no educational services. Of those who were expelled, 10% black students and 60% white students were done so under zero tolerance policies. Those who were referred to law enforcement included, 10% black students and 80% white students. However, Spokane school districts reported a higher number of enrolled white students. West Valley School district consisted of 86% white students and 4% black students. In St. Louis, M.O., schools, the Normandy School District’s 98%Â black student population drew in the following: 100% of all students who received more than one out-of-school suspension, 100% of those who were expelled without educational services, and 100% of those who were referred to law enforcement. In Missouri’s Ritenour School District, 67% of black students vs. 33% white students were referred to law enforcement.